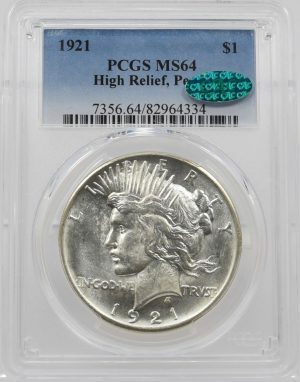 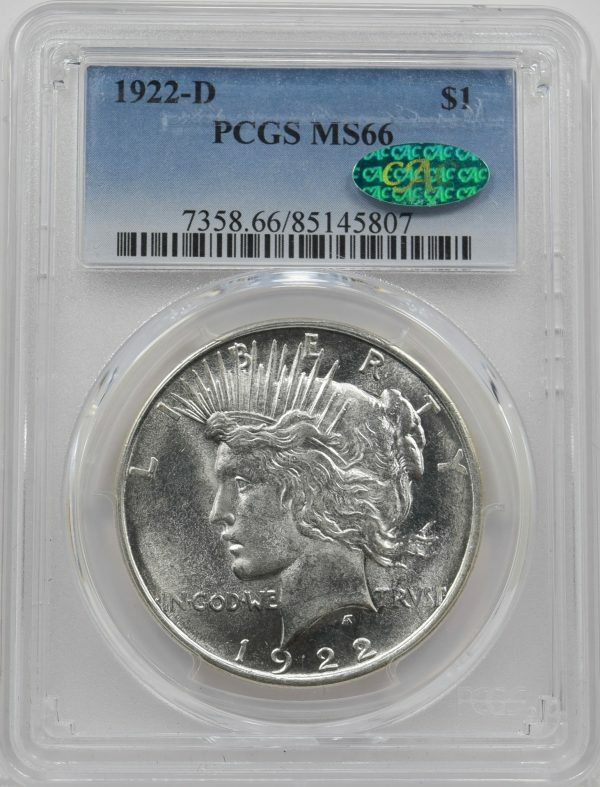 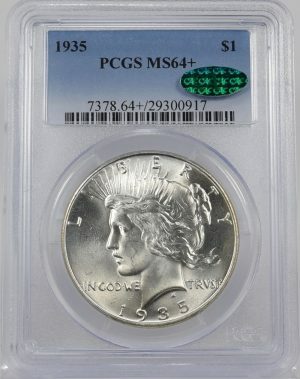 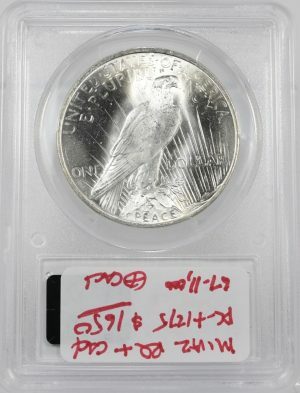 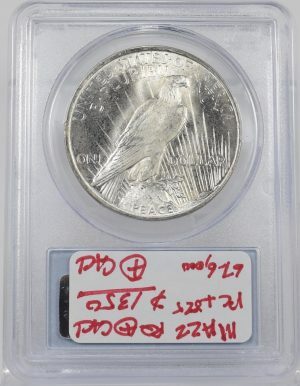 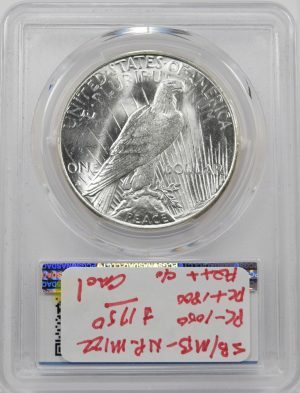 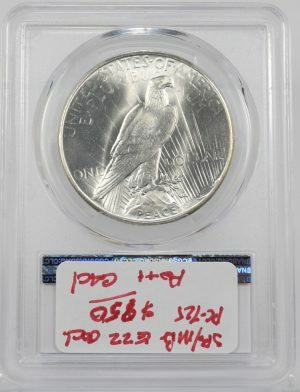 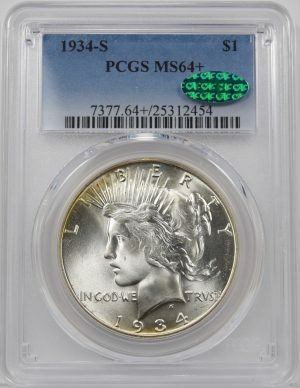 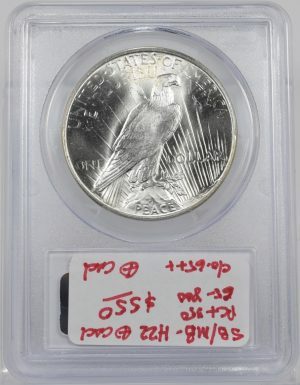 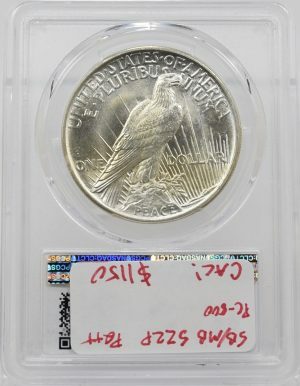 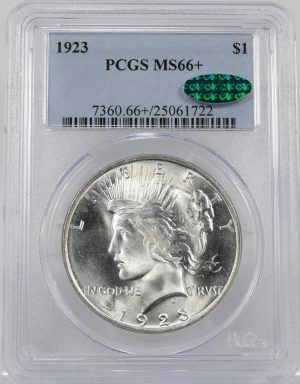 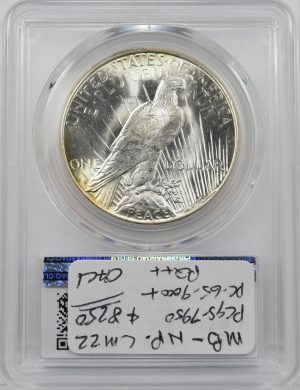 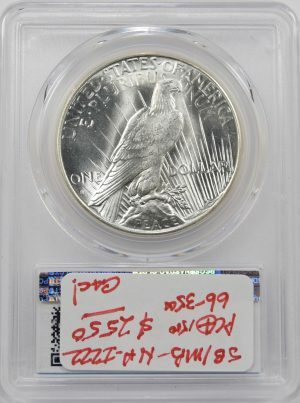 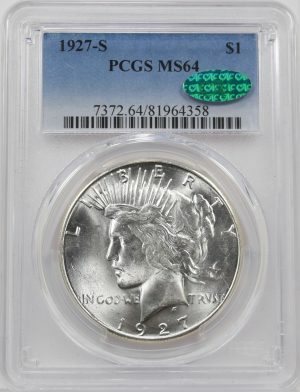 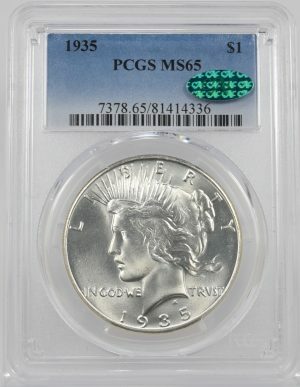 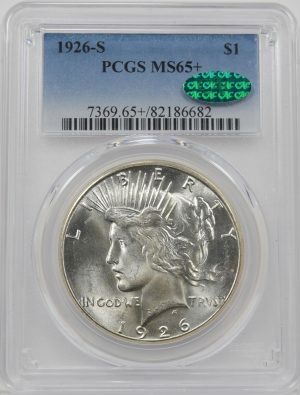 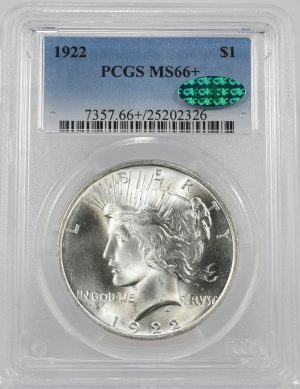 This 1922-D PCGS MS66 CAC Peace Dollar is blast white with a full strike. 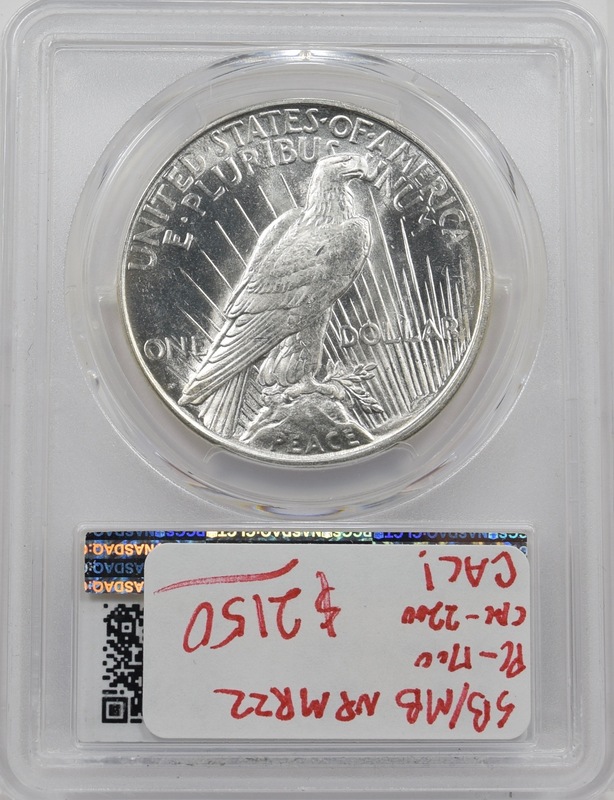 Common for the date, this coin has somewhat grainy surfaces that reflect beautifully and give it a frosted look. CAC Approved!